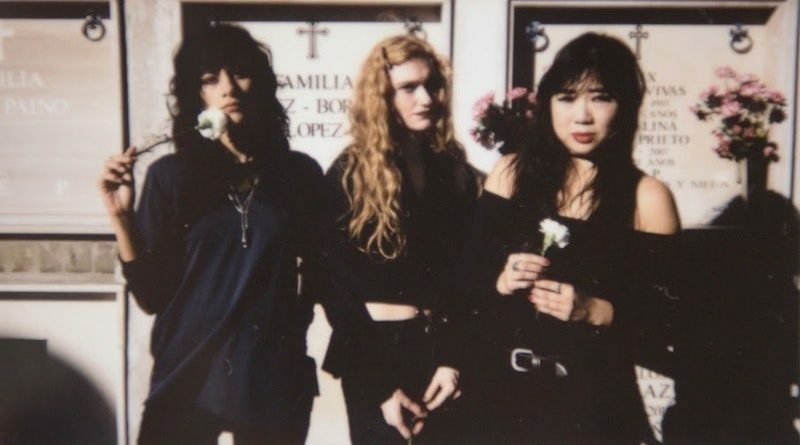 Californian surf-goths L.A. Witch are set to play the Castle & Falcon next Tuesday (26th June) as part of their 2018 Summer European Tour. Described by Brooklyn Vegan as having, “a dark bluesy sound that recalls a pitch-black Widowspeak or, yes, BRMC“, they’re not to be missed. Sonic Gun Concerts and Killer Wave have teamed up with Suicide Squeeze Records to bring some L.A. sunshine to Moseley in support of the band’s self-titled debut album. Support comes from Brighton alt-rockers Thyla, Wolverhampton collective Lions of Dissent, and Lichfield psych-merchant Jimmy Temniuk. Birmingham’s own Table Scraps will also be in attendance to man the decks. L.A. Witch play The Castle & Falcon, Birmingham on Tuesday 26th June 2018. Pick up tickets below.